You are here: Home / Articles / Judgement proof. Is there such a thing? Judgement proof. Is there such a thing? Is anyone really “judgement proof”. In my view, no. 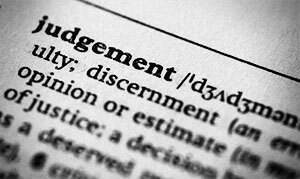 The phrase “judgement proof” is one of the most misused and misunderstood phrases used in an insolvency context. Black’s Law dictionary defines judgement proof as “unable to satisfy a judgement for money damages because the person has no property, does not own enough property within the court’s jurisdiction to satisfy the judgement, or claims the benefit of statutorily exempt property”. None of that means that a creditor cannot proceed against you and obtain judgement. They can. But because you have no property and/or you are on a fixed government income, the creditor will have no recourse against you. In other words, you have nothing to seize. The creditor still retains the right to try and collect. That means phone calls, notices or maybe even a bailiff at your door. It is a myth that if you are on a government pension or social assistance that you are “judgement proof”. You are not. And once your government funds hit your bank account, it becomes cash and is available to any judgement creditor who may be trying to garnishee your bank account. And if you owe your bank money, they have the right to seize the funds if you are behind in your payments. This is known as set off. If you owe Canada Revenue Agency for taxes, or the Province for medical premiums they have the right to set off the pension against the taxes you owe and/or take any GST credits you are entitled to as well. Only a proposal or a bankruptcy will stop this type of action. So doing nothing is always an option. But if you can’t handle the stress of being in debt, then it’s not a very good option.